This post aims to educate property buyer why it is good to buy house from developer. It also defines what land developers do, signs the good property developer have, first things to consider and advantages of buying from them. 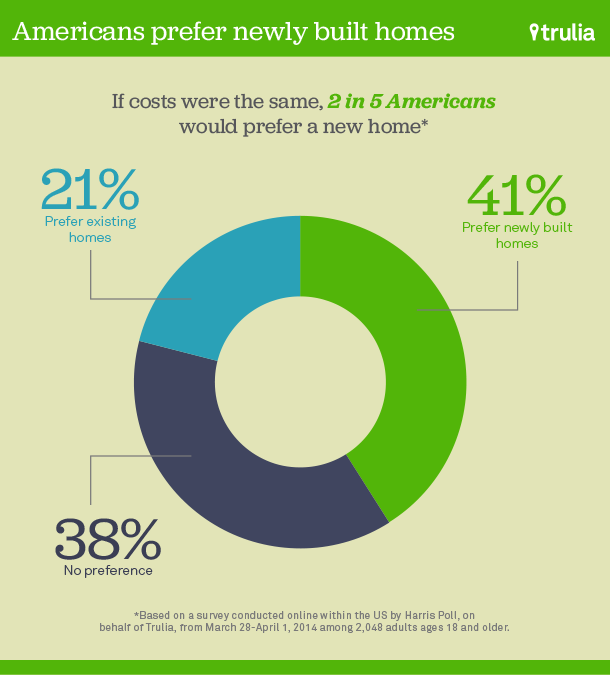 Research finds that there are more house buyers who tend to buy new houses than buying a pre-owned property. In this post, we’ll discuss what the buyers really get when he/she decided to buy a house from the property developer. Real estate developers are a group of people or company who organize, manage, coordinate the development of a property. Developers do a multifaceted process, from acquiring land, subdividing the property with its legal and physical aspect, up to marketing the developed property to the public etc. Straightforward, the job of the land developer is to convert a raw land into a more usable property, land development could be but not limited to a commercial center, residential subdivision, industrial park, community centers among the others. 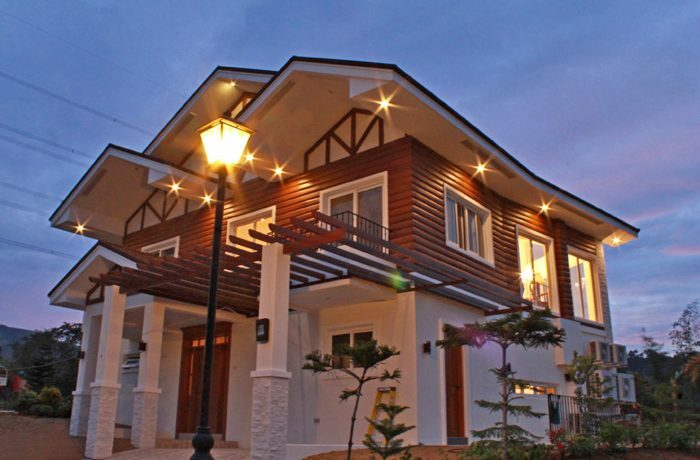 In the Philippines, we have a list of well-known property developers. Property developers first spot a land to purchase. They hire engineers, architect, a researcher who conduct a thorough survey and studies about the specific project they will be doing for the said property. Studies may include geographical history & data gathering, market analysis, construction phases and so many other details. They also oversee the selling of the developed property. This is where real estate brokers come into play. Big land development companies accredit license real estate brokers to market or sell their projects. That is the reason why you can see different brokers with the same subdivision on their listing. Does this mean the price will be higher if the buyer deals with the broker instead of dealing with the developer? Big NO, accredited real estate brokers does not add anything to the total contract price of a property given by the developer. But how does the real estate broker get paid? Brokers including the agents under their supervision earn only by commission given by the developer. If the marketer – that is the broker or agent gets a sale, they get also a commission, no sale, no commission. Today it is a common practice by the developer to market their future projects, even if it is not existing yet. This is called pre-selling projects. If the buyer is an investor, this is a good choice as pre-selling projects are priced lower than an existing project. Buying a pre-selling project may have a good return on investment when the project is finished. Discount and promos come from the developer which are echoed only by the brokers to the buyers. So if you’re buying a house from the developer, ask what are the current promo offer. Developers nowadays are concerned about the look of their priced land developments. That is one of the main reasons why they maintain the subdivision they are selling until the last unit are sold, other developers even up to the time a homeowners association is established. Good property developer takes good care of their client, more than money, their main goal is to make the customer happy. They invest in infrastructure to always be available to demands of every client. They not only deliver their promises on time but gives extra mile for the satisfaction of the buyer. This result to a good reputation that can easily be verified online. Developers of good standing put great value in building an amazing relationship. To make real estate projects successful, the developer needs a lot of expertise. They must have excellent connection to lenders or bankers, contractor, engineers, marketer, brokers and many other. A good to excellent real estate builder does not settle to what is conventional. They like to experiment to have a new perspective. This usually results in a more personalize and top of the line property development. They do so because they hire creative individuals who have an eye to see what will be better in the future. They do not stop being creative employing and using modern state of the art equipment. This will benefit not just the reputation of the company but primarily the client who give them complete trust. In sports one needs to win, the same with good developers, they have a clean good record of finished projects. Their clients are happy giving testimony to everyone, also, this company brags about their successes, so it’s easy to find one. Remember my second point about “Relationship”? In today’s age of the internet, social media presence is a must, what do you think is the best channel to communicate your agenda to all people? Yes, online presence, best companies have an active online portal, own website, social media account, YouTube channel, etc. They maintain their online presence as a means of communicating to their audience, primarily previous, ongoing and future clients. Real estate development is a complex process, each project requires a lot of time, attention and careful planning, to execute such a task, they need a group of exceptional individuals coming from different industry, finance, engineering, marketing, research to name a few. An exceptional developer knows this and they employ only the best-qualified professionals, you can see it how they speak, handle pressure/deadline. process will have a lasting impact on the project. Property buying is a time-consuming process, just because any information is readily available on the internet does not mean, as property buyer, you can do it on your own. I will still suggest you look for a professional real estate broker. Besides, it is the developer who pays the accredited brokers, so with or without the assistance of broker/agent, the buyer pays the same amount to the developer. Yes, that’s one of the benefits of buying from the developer. You get the professional service of a licensed real estate broker for free. Just make sure the broker you choose is accredited by the developer if the property you’re buying. Good companies value their reputation, take a time to get a clear understanding of how the developer handle their projects. This is a good read why a good reputation is important to the company. Buyers can do this by asking friends or colleague who may have bought a property with the project. An online forum is also a good source. Investigate if there are pending projects about the developer, how about the turnover of properties they have finished, how do they addressed complaints or problem that have arisen? For installment payment, this is worth the time. Usually, property developers work with banking institutions to apprised their projects. It is a win-win situation for the buyer as it lessens the paper works usually needed for acquiring the property, it also makes the property acquisition easier and faster. However, comparing one bank to another will give buyers a clear understanding which bank gives lower interest. Two heads are better than one, right? Friends who already have bought a property can share their buying journey, it’s always a good idea to ask those who have firsthand experiences in buying a property. An intelligent buyer would want to check other prices. This is one of the sign that the broker a buyer transacting with is an excellent broker. She will not add any price over what the developer has put on the property. Before you sign any contract for buying make sure you have a comparison of what you are about to acquire. This link will tell you the importance of comparison shopping. The most important thing in selecting the property is location, location, location. When you get the best location, you also get the most appreciation value of the property in the shortest time. And to get the best location, be the first buyer of the project. Think how you want to spend your allotted budget. A granite flooring could be added later, but you cannot transfer the 150 sq.m. house from Block 1 to 200 sq.m. lot in another Block. So, the idea is, choose what is the biggest lot area you can afford right now and upgrade later. Know what you can get with the normal package and what’s additional. Ask the what’s included in the package you are about to buy because what you see on the brochure is not sometimes the actuality of many promotional campaign developers do. If uncertain about anything, do not hesitate to ask, proper communication is the key. If there are offering for an upgrade, carefully studying the offer will save you money. Always have a second look for every upgrade you consider. Again, choose location over an upgrade. Ask the developer for the warranty, when buying a new house, it always comes with the warranty, specifying that any damage that may come will be repaired for a period. Ask how long the house will be covered by the warranty and the conditions that come with it. Carefully study the floor plan to visualize the room layout, understand the flow of property, see all the dimensions of the room so that you could plan for the furniture to buy once the house construction is finish. This is a helpful guide to study floor plan. Developers usually build a model house and a turn-over model house. The model house is fully furnished just to give the prospective buyer what the house will look like with furniture and fixture etc. The turn over-house is the actual house you will get without the furnishing. Visiting the turn over-house will give you an idea if you will take the upgrade the developer is offering, flooring tile upgrade, lights etc. I’m not saying the developer will be delayed on the turnover. Do not expect a delay to happen but be at least be prepared for it. There are certain circumstances which may occur in the process, give at least one-month leeway before you occupy the house. There are certain circumstances which may occur in the process, give at least one-month leeway before you occupy the house. No, not your selfie, but the picture of the house. Do this from the first viewing of the model house to actual construction of your own house. And yes, you must visit the house construction once in a while. Besides, it is your house to occupy until the house is in a complete finish. House buyers can be sure the house is newly built. New houses now are usually more energy efficient. With new construction materials being used, also equipped with the latest technology – alarm, electrical system, internet infrastructure and required cables which mean potentially lower bills. Buyers don’t need to worry too much during construction as it will be taken care of the developer. This depends on the developer you choose, there are reputable real estate developer today who make the house buying process for their client as easy as possible, including all pertinent document processing. There are options that the developers will give buyers an option to customized the finish of the house. Others even offer to customize the floor plan according to the buyer’s preference. Depending on the current promotion, buyers can capitalize the incentives currently offered by the developer of the month of purchase. Since the house is newly constructed, there’s no need to worry about replacing anything for the next three to five years. Like appliances, new houses come also with a guarantee for a year, other offers an extended warranty. Who would not want to transfer to a newly built house? Everything is clean, no greasy kitchen units, no scratch. Just imagine after a busy day at work and coming back to your brand-new home. That’s already more than a bonus. Bank financing, in-house financing or spot cash payment, the buyer get to choose which payment options they can afford. Unlike buying a resale where the only option is to pay cash. As time goes by, the value of property normally increases. Especially when the developer has a good to excellent reputation their development turn-overs. Just a few years after the purchase, the buyer is usually on the winning side when it comes to property valuation. Location plays a big part in property acquisition. Buying early in the development of a subdivision gives the buyer more options to choose from. However, when the project is nearing its completion, options to choose a perfect location becomes limited. This also applies to condominium projects. But still, location options from the developer is way much better than choosing a resale property.